May 15, 2018 – Werner Restoration Services, a member company of DKI, North America’s largest disaster restoration contracting organization, proudly announced their 30th business anniversary. 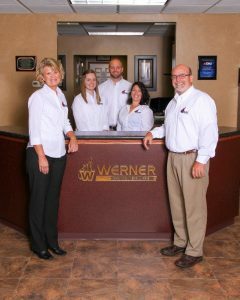 Werner Restoration has been serving the Quad Cities and surrounding areas with water and fire damage restoration services since 1988, and wishes to celebrate with their customers in their community. “We are a family owned company and will continue to keep small company values, morals and integrity that our company was founded on as we grow and assist more customers,” said Werner President Ken Werner. They will be holding an anniversary celebration at Lavender Crest Winery in Colona, IL on Thursday, May 24, which will include food, refreshments, giveaways, wine tasting, a photo booth, and live entertainment by the band, Love Storm. To learn more about the event, please contact Jaclyn Thompson at 309-792-0912.